Laugh as much as you breath.. I've recently came across this idea on both Facebook and Pinterest, so I had to learn and try it myself. - Who knew that celery proliferation was all the rage? Instead of tossing the base, rinse it off and place it in a clear glass jar so you can see the roots re-growing or bowl of warm water for a week or so until new leaves appear in the center. The leaves will be yellow at first, and once they really emerge and turn green, you can plant the celery in the ground or in a pot. 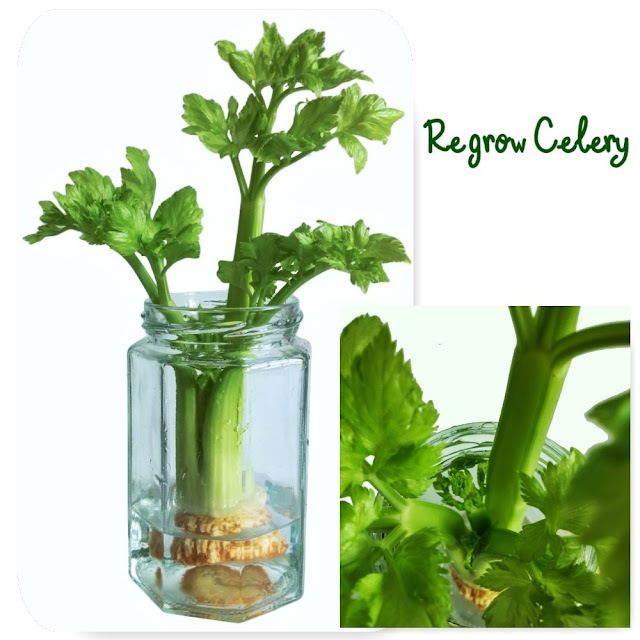 Change out the water every couple of days while in the re-growing jars, or bowls or you can used a spray bottle to spray water directly onto the base of the celery where the leaves were growing out. After the 5 to 7 days is completed, transferred the celery base to a planter and covered it completely save for the leaf tips with a mixture of dirt and potting soil. Watered it generously and after planting in the soil, the overall growth really took off. Not only that the celery leaves regenerating themselves from the base, but you can see clear stalks making their way up and out. It's truly fascinating. Good News! Makati Smart Summer Event Program Now Open to Youth - First Come First Serve! Hurry Up!! alhila. Simple theme. Theme images by luoman. Powered by Blogger.